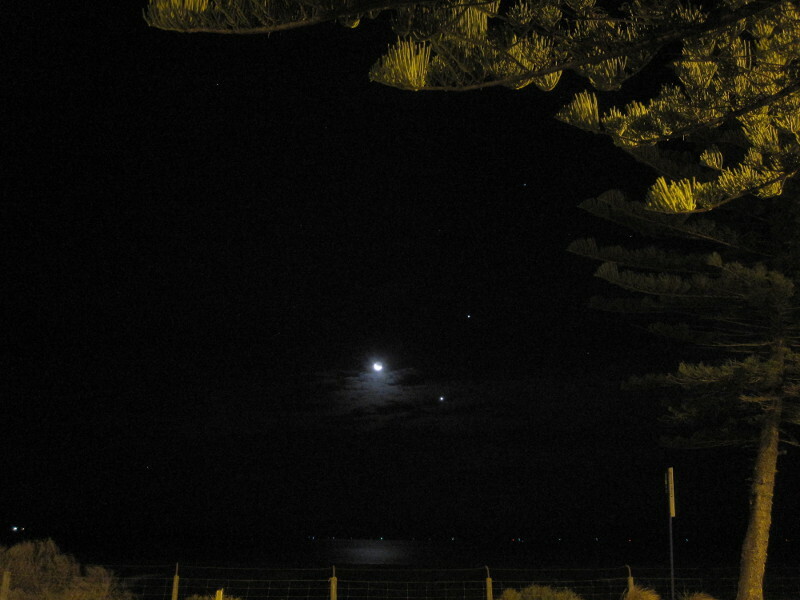 The crescent Moon, Venus and Jupiter as seen at around 19:15 ACST from Largs Bay, Adelaide. 2 second exposure at ASA400 with my Canon IXUS. Click to embiggen. 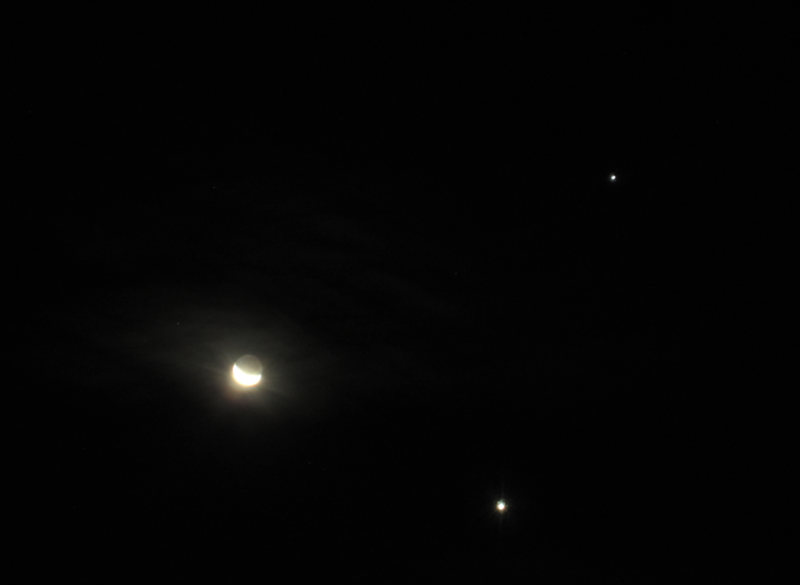 The crescent Moon (over exposed), Venus (bottom) and Jupiter (top) at 3X zoom 4 second exposure at ASA400. Click to embiggen. After a brilliantly clear day, the clouds came over in the late afternoon and squatted unwelcome over the sky. Evening feel, clouds didn't move except to give a fleeting glimpse of the Moon. After I had given up I wandered out get takeaway for the kids, and lo and behold, the clouds had cleared away. And did they not look good! 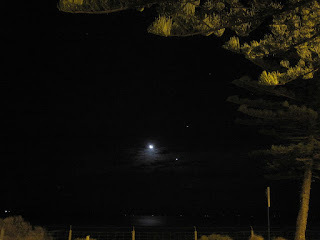 The Moon made a silver path in the sea, and thin cloud drifted over, but the trio of Venus, Jupiter and the Moon looked magnificent. Regulus above complimented the triangle. Tomorrow th Moon will be between Jupiter and Regulus, so it still should look good. On American sights they are saying that Jupiter and Venus will conjoin on the 30th June. 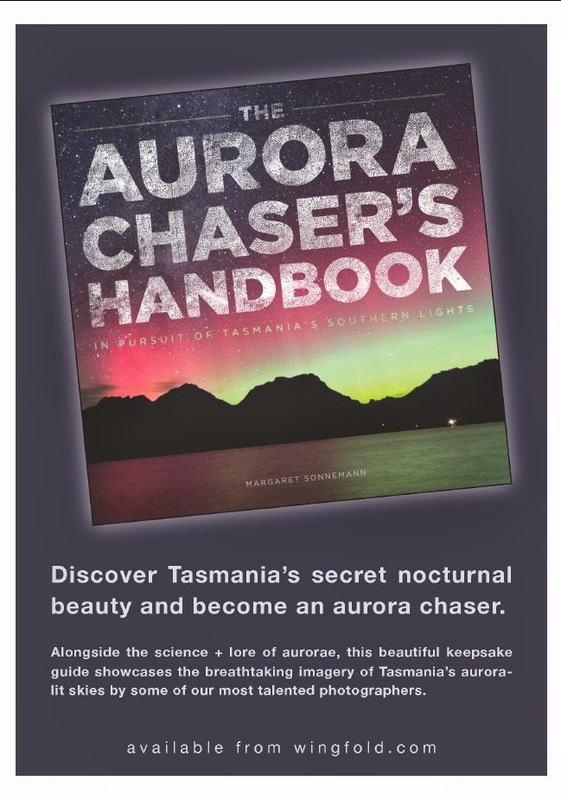 Can you tell me where to look in the sky to find this. I live in Greenacres which is north east in Adelaide.